To book, call 1-407-TO-CHILL (407-862-4455) and ask for the Project Storm group rate. The below schedule is tentative and subject to change. 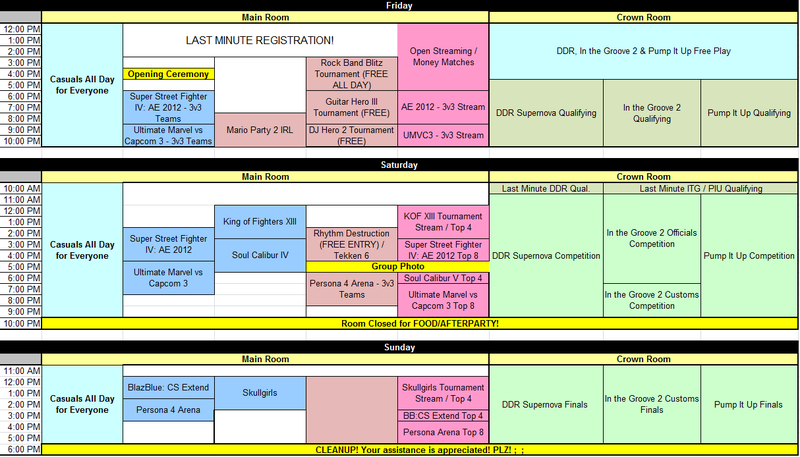 Registration Badge: All who are entering any of the “Main Tournaments” listed below must purchase a “Registration Badge”. The Registration Badge guarantees you access to everything regarding Project Storm: FUSION. Spectator Badge: For those not entering a “Main Tournament”, you must purchase a “Spectator Badge”. This badge will grant you access to both tournament rooms, casual play, and any side tournaments throughout the weekend. Note: When you click ‘Add to Cart’, a separate page will open. You can return to this page and add more items. Once completed, go to the new page and finish your transaction. Shirts will be $15 sold at the venue. Thank you to the following Early VIP Registrants!